Whittlenods occur when those who engage in talk and thought about cultural flotsam and jetsam discover the flaws in their habitual thinking. Thistledown Press gratefully acknowledges the financial support of the Canada Council for the Arts, the Saskatchewan Arts Board, and the Government of Canada for our publishing activities. The Writers’ Guild of Alberta is excited to announce the finalists for the 2019 Alberta Literary Awards and Robert Kroetsch City of Edmonton Book Prize. Each year, the Alberta Literary Awards and the City of Edmonton recognize and celebrate the highest standards of literary excellence from Alberta and Edmonton authors. The WGA would like to send our congratulations to those whose work is on this year’s Alberta Literary Awards shortlists! We look forward to celebrating your creativity and hard work, and we will do all we can to spread the word about the wonderful writing you did in 2018. Our awards celebration is not just one night; it is a full and robust season of honouring and “getting to know” these authors and their amazing work. Shortlist reading events will be held this spring in Edmonton on May 5 and in Calgary on May 15. Our juries deliberated on more than 190 submissions to select the following 24 finalists in eight categories. Finalists represent excellence in literary work written by Alberta authors and published or created in 2018. We encourage you to check out these fantastic titles! Corvus is on the Canada Reads 2019 longlist. The final five books and the panellists defending them will be revealed on Jan. 31, 2019. The 2019 debates will take place March 25-28, 2019 and will be hosted by Ali Hassan. 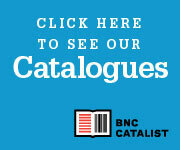 John Lent's Cantilevered Songs listed on CBC's Your ultimate Canadian poetry list: 68 poetry collections recommended by you.